Product prices and availability are accurate as of 2019-04-18 06:44:03 UTC and are subject to change. Any price and availability information displayed on http://www.amazon.com/ at the time of purchase will apply to the purchase of this product. 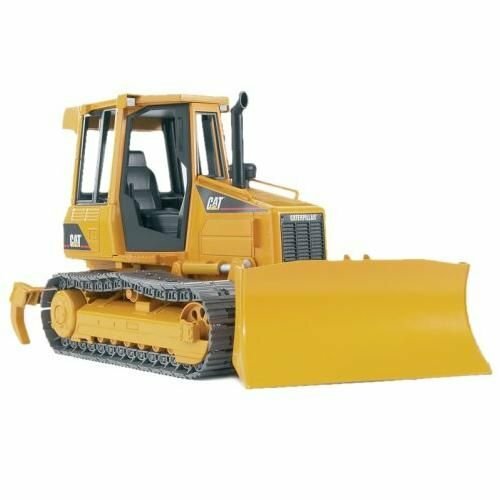 Bruder are famous for making high quality construction toys, with attention to detail. 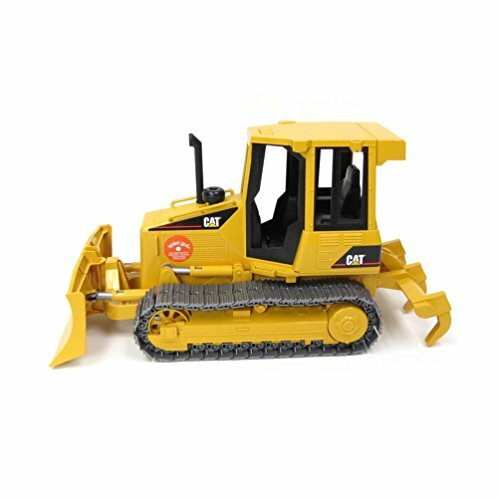 The Bruder Caterpillar Track-Type Tractor is a toy model replica of a real Caterpillar vehicle, and is designed to satisfy little ones who have a fascination with construction equipment. It’s also designed for both indoor and outdoor play, but is it worth the high price tag? Is the Bruder Caterpillar Track-Type Tractor Worth Buying? 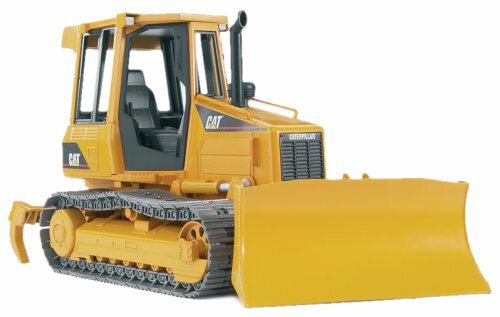 Is your child a fan of construction and/or heavy equipment? If yes, then it’s likely he or she will be very impressed by this detailed truck. The Bruder Caterpillar Track-Type Tractor is designed to guarantee imaginative play for your child, with realistic features that give him or her a lot more to explore. The toy Caterpillar has a front blade that is capable of moving up and down and left to right, to actually move dirt and sand from one area to the next. The plastic tracks create a realistic look and add sound effects to this toy when played in dirt. The tracks are stable for use even on slippery surfaces. The vehicle has an adjustable ripper in the rear that can be replaced with other accessories, which can be purchased separately. Although advertised for its ability to stand up to rough and hard play by children, this has not always been the case in a variety of situations. If the Caterpillar is dropped, it will most likely come apart and need an adult to put it back together, due to the small pieces. It also can’t be used to load rocks, as this puts too much strain on the toy causing it to break apart – only dirt and sand are recommended. 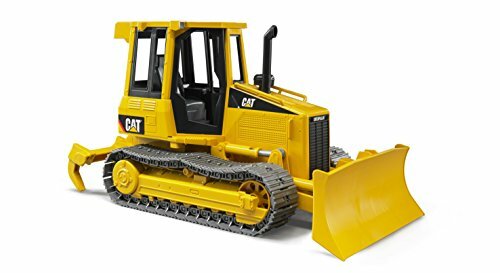 This is basically a standard construction toy, and although it has much detail, it does not have any extras to engage a child, such as doors that can open and close, or more sounds to resemble a real Caterpillar. Overall, this toy is probably great for the older child who will not play too rough with this toy; however, for the cost, this may not be worth the investment for younger children. 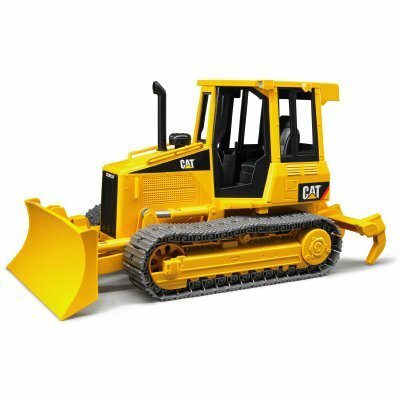 It’s a good choice if you’re looking for a detailed toy that will really wow a child who already loves construction toys. Made in Germany Constructed out of fade-resistant, high-quality ABS plastic, with no glue or screws.